Whether you are teaching ancient history with its Egyptian pyramids, they mystery of Stonehenge, and Hammurabi’s code or the castles and knights of the medieval time history is full of both legends and adventure. Seeing history through the excited twinkling eyes of children hearing it for the first time can be one of the greatest joys of homeschooling. 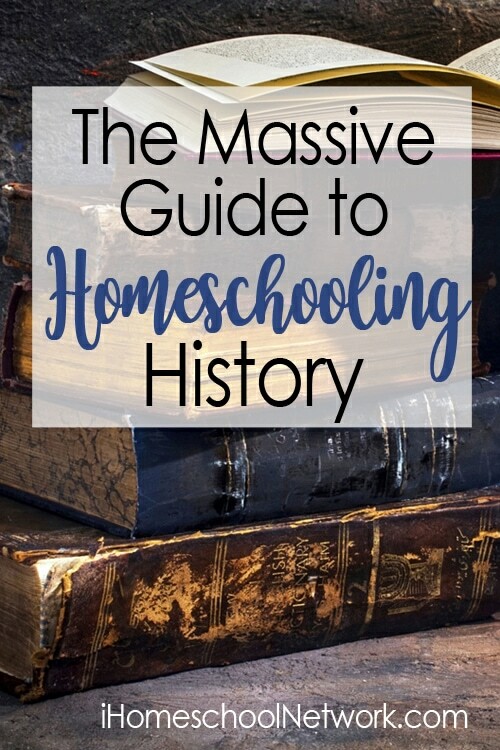 No matter what region of the world you are delving into this homeschooling year, you will find just the help you need in this massive guide to homeschooling history. We’ve pulled together this massive history guide to help you discover how you can teach history in your own homeschool. 5 Free Music Lessons to Make American History Studies Richer – Gena at I Choose Joy! Ten Great Ways to Teach History – Gena at I Choose Joy! Why We Changed our History Curriculum for Homeschool High School to Tapestry of Grace – Gena at I Choose Joy! Ancient Egypt History for Kids by Selena at Look! We’re Learning! Ancient Nubia History for Kids by Selena at Look! We’re Learning! Ancient Songhay Empire History for Kids by Selena at Look! We’re Learning! Asante Empire History for Kids by Selena at Look! We’re Learning! Colonial Africa History for Kids by Selena at Look! We’re Learning! Ghana and Mali Empire History for Kids by Selena at Look! We’re Learning! Great Zimbabwe History for Kids by Selena at Look! We’re Learning! Black History Books for Kids by Selena at Look! We’re Learning! Ruby Bridges Unit Study by Selena at Look! We’re Learning! South Africa and Apartheid History for Kids by Selena at Look! We’re Learning! Zulu Empire History for Kids by Selena at Look! We’re Learning!